our life in Singapore: all aboard!! 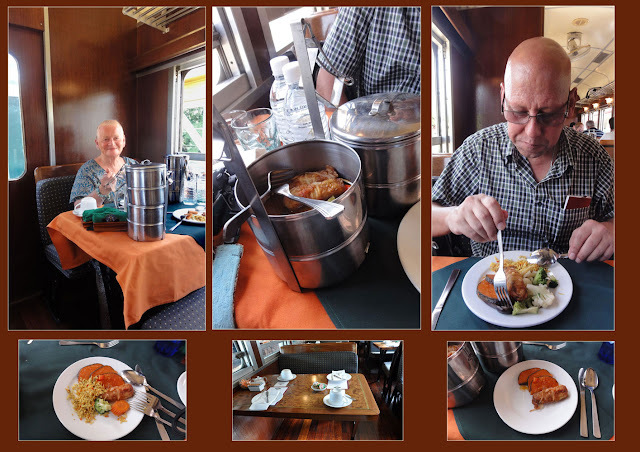 The North Borneo Railway journey was just fabulous and we would do it again in a heart beat. We were lucky we were in Kota Kinabalu (Borneo) on the day the steam train was making its journey to Papar. 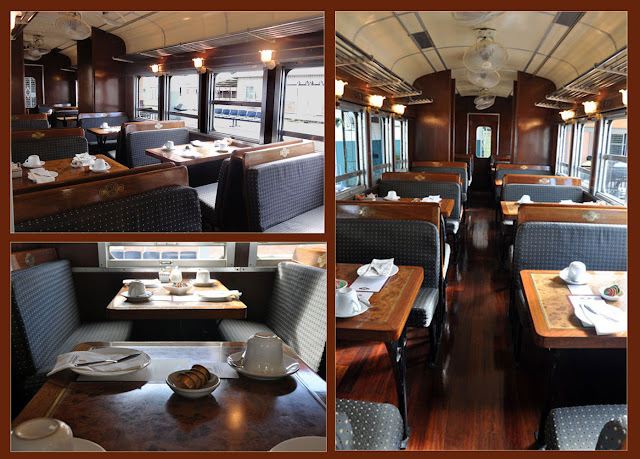 Once we boarded the train, we found our seats and noticed the tables were already set for a light breakfast. It was all very 'old style British' and even the staff were dressed to suit the occasion. As we left the station the staff came around with tea, coffee, croissants, pastries etc. 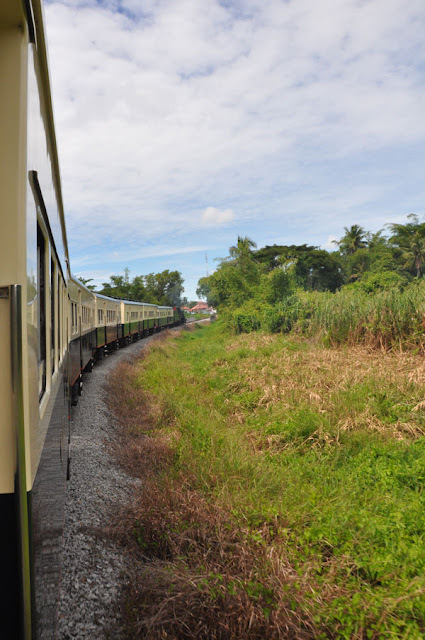 The train journey began from the Tanjung Aru station and chugged past the market towns of Kinarut and Papar, on the outskirts of Kota Kinabalu. The train meandered past beautiful natural areas such as the backyards of small settlements, villages, Chinese temples and churches, mangrove swamps, a tunnel, as well as padi fields and oil plantations. The train journey gives visitors a wonderful glimpse into a bygone era. 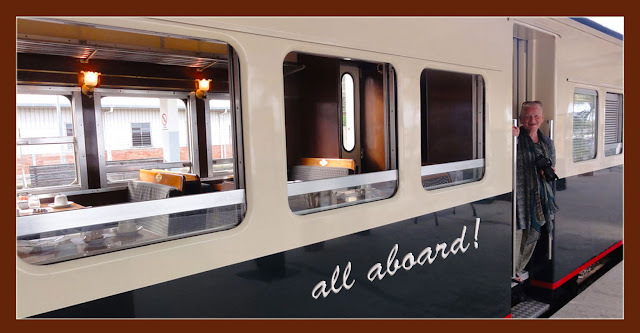 On our return journey back to Tanjung Aru station, a tiffin style lunch lunch of assorted savory pastries, fried chicken, sandwiches and dim sum along with lemonade was served to the passengers. The whole experience was just amazing.